Gender is an element of identity that young children are working hard to understand. It is also a topic that early childhood teachers are not always sure how best to address. It’s not surprising, then, that Jamie Solomon’s article is the third teacher research study Voices of Practitioners has published that focuses directly on gender, joining articles from Daitsman (2011) and Ortiz, Ferrell, Anderson, Cain, Fluty, Sturzenbecker, & Matlock (2014). Jamie Solomon’s teacher research demonstrates how pedagogy that takes a critical stance on gender stereotyping is a social justice issue because the performance of femininity still maps directly onto disparities in opportunity within our society. Further, she suggests how the male/female gender binary remains a default perspective and suggests how a more inclusive view of the gender spectrum can enhance and inform our practice and worldview. Her work interprets instances that arose naturally in her teaching, and it displays how teacher research is simultaneously a study of our professional and our personal selves. During the past 10 years of teaching in the early childhood field, I have observed young children as they develop ideas about gender identity. I soon came to understand gender expression as a larger social justice issue, realizing how external influences were already at work inside the preschool classroom, impacting children's interactions and choices for play and exploration. This matter became a great priority in my professional life, leading me to look for ways to advocate for change. Some of this eagerness stemmed from my own frustrations about gender inequity and how, as a woman, I have felt limited, misunderstood, and pressured by societal constructs. These personal experiences inspired me to help further discussions about gender development within the early childhood field so that, one day, young children might grow up feeling less encumbered by unfair social expectations and rules. Teaching preschooI for six years at a progressive school, I was able to engage in ongoing learning opportunities, including observation and reflection. The school's emergent curriculum approach required me to pay close attention to the children's play in order to build the curriculum and create environments based on their evolving interests. Early one semester, while on a nature field trip, I noticed great enthusiasm coming from a small group that consisted mostly of girls. They attempted to "make a campfire" using sticks and logs. After observing several other similar play scenarios and listening to their discussions, I began building a curriculum based on the children's evolving interests. I started by offering opportunities to encourage this inquiry—for example, through drawing activities and providing tools to more closely explore the properties of wood. 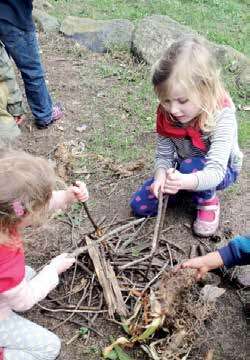 Several weeks later, I was gratified to see that among those most deeply engaged in our emerging curricular focus on wood, fire, and camping, the majority continued to be girls. The girls' behavior and interests involved characteristics historically categorized as masculine: joyfully getting dirty, doing hard physical work (in this case with hand tools), and being motivated by a perceived sense of danger acted out in their play—for example, pretending that a fire might erupt at any moment. These exciting observations prompted me to investigate how a particular curriculum might encourage and support children to behave outside of society's gender constructs. My understanding of gender influences built over time; each year I noticed the power and presence of these influences in the classroom. How can I offer a curriculum that provides children with more opportunities for acting outside of traditional gender roles? How can I encourage and support children who wish to behave outside of traditional gender roles? How can I foster increasingly flexible thinking about gender among 4- and 5-year-old children? The following study highlights excerpts not only from our major emergent project on camping and firemaking, but also from examples drawn from all of my teaching experiences that spring semester. Young children are continually making sense of their world, assimilating novel information and modifying their theories along the way. Most influences in the lives of young children—both human and environmental—reinforce existing stereotypes (Ramsey 2004). Without prominent caring adults helping them consider perspectives that challenge the status quo, children, left to their own devices, tend to develop notions that conform with stereotypes (Ramsey 2004). If children are regularly exposed to images, actions, people, and words that counter stereotypes—for example through books, photographs, stories, and role models—they are likely to modify and expand on their narrow theories (Brill & Pepper 2008). Thus, educators of young children should offer their student different perspectives, including those that counter society's confined constructs, to allow children access to a range of roles, expressions, and identities (Valente 2011). Without such efforts, we stymie young children's development, keeping them from realizing the extent of their potential. During this teacher research project, I found many examples of girls crossing traditional gender role boundaries but only a few examples involving boys. Some researchers believe this phenomenon, a common finding in gender studies, results from our male-dominated culture, in which being male or having male characteristics is associated with power, opportunity, and prestige (Daitsman 2011). Many young boys demonstrate awareness of these desirable qualities and perhaps worry about losing such advantages if they were to cross gender lines. Accordingly, educators must take an active role in providing both boys and girls counternarratives, and helping children question the status quo. Forman and Fyfe (2012) show faith in our human capacity to evolve, describing our understandings of the world as malleable. They write, "We hold that knowledge is gradually constructed by becoming each other's student, by taking an inquiry stance toward each other's constructs, and by sincere attempts to assimilate or reconcile each other's initial perspective" (247). My goal is that this research will prompt educators to work on softening the system of gender rules that surrounds and governs our children. As Brown and Jones (2001) explain, "Changes in attitudes will not be achieved until certain fundamental dichotomies, which currently regulate aspects of classroom life, have been shifted" (143). This study took place at a progressive San Francisco Bay Area preschool offering a full­ day, year-round program. The school serves 2 1/2 - to 5 1/2-year­ olds. I conducted the study in my classroom of twenty-one 4- and 5-year-olds. The children were from diverse backgrounds racially, culturally, and socioeconomically and represented a wide range of family compositions. While all 21 children in my class were observed during the research process, particular children and groups of children became more visible in the data for various reasons. Some children stood out to me as particularly conforming or nonconforming to traditional gender roles, as compared to their peers. Alternatively, I also focused on cases where I felt I had witnessed a child break from their typical role or gender expression. I was the lead teacher and worked alongside and collaborated with two coteachers. During the spring semester when this study was conducted, the children spent most of the morning hours in unstructured play time with the choice of working indoors or outdoors. We also spent at least one hour of every morning engaged in more structured activities, including circle time. The afternoons also included choices for indoor and outdoor play. Weekly field trips had long been integral to the school's program, so my class left the campus each Wednesday to embark on a local adventure together. Beginning this study in the Spring, I benefited from having established relationships with the children over the first five months of the school year. By the time I began this teacher research, I had met with their parents during fall conferences and spent countless hours observing the children, connecting with them, learning their idiosyncrasies, and building trust. In fact, I had already come to know many of these children the year prior when preschoolers from various classrooms intermingled while playing in our shared yard. My data sources included field notes and reflective notes, video and photos, and weekly journaling. The field notes generally consisted of my observations, which were recorded during natural discussions and spontaneous events. After leaving the classroom I revisited the field notes to fill in contextual holes or other missing information. Fully detailed, my field notes offered vivid samples that I could use to effectively recall experiences for analysis. I believe in many cases I reproduced conversations accurately. At other times, I captured more of the flow of an event. Excerpts from my field notes, in the upcoming Findings section, reflect this range of detail. My analysis uses a theoretical lens suggested by Rogoff (2003), which holds that human thinking and behavior should be understood within its particular sociocultural context, that is to say an environment greatly influences those who live and learn within it and vice versa. Thus, the data is viewed in consideration of situational factors such as structured versus unstructured play, children’s varied personalities, and larger societal influences like the media. My analysis also includes self-reflection, as I continually questioned my views on gender, knowing that my data had been gathered through my personal feminist lens. The data collected—notes and images capturing young children’s expressions, behavior, and interactions—was examined for evidence of gendered thinking and possible influences that caused it. After first organizing my data chronologically, I proceeded to go through it, jotting down one to five words to describe each data sample. Moving slowly, I regularly returned to previous samples, making comparisons between records and reevaluating the descriptions I was making. As new words or “codes” came to mind, I again returned to previous data samples to determine whether this concept was visible throughout the data. Thus, the process continued, moving forward and backward to compare, reevaluate, confirm new patterns, and then review. Next, I studied my list of codes and pulled those that seemed most encompassing to serve as overarching themes. The three themes that resulted, in relation to gender, were (1) influences of materials and teacher expectations; (2) children’s desire and search for power; and (3) expressions and behavior illustrating children’s state of mind and development. In the following section I explore these themes, illustrating each with supporting data excerpts and my analysis of them. Many factors influence children’s learning experiences in the early childhood classroom. This first theme examines how the available materials—whether closed or open-ended—might guide the children’s work and interactions with one another. I primarily focus on the props and tools that I, the teacher, provided the children, the intention behind the materials offered, and my expectations on how they might be used. Of course other compounding factors should be considered here as well. For example, how our school’s philosophy plays out in our classroom, the physical environment, and the emergent curriculum topics we teachers have chosen. Such factors combine to create a stage upon which the children and teachers act. Data collected on two different days revealed contrasting behavior among the children. The first excerpt focuses on two girls exploring new materials inspired by our emergent unit on wood, camping, and fire. During this play they assume less conventional female roles. In the second sample, the subjects of my observation include three boys whom I observed handling baby dolls—props available throughout the year in our classroom—in a manner congruent with stereotypical gender norms. When the children approached the camping activity table, I gave very little instruction. Instead I explained I had seen them working with wood recently, and I wanted to give them more time and tools for their investigation. Whenever I share such observations about children’s work and express curiosity, it seems to validate their interests and encourage their exploration. The group readily experimented. The activity was approachable, open-ended, and afforded a safe place to try out new ideas, actions, and roles. The girls appeared empowered and stayed with their work for as long as possible. Their verbal expressions resembled those I had heard more often from boys in my classroom. For instance, Caitlyn and Stella deepened their voices noticeably as they loudly delighted in each discovery, saying, “OHHH” and “WHOA!” Apparently, this natural wood paired with carpentry tools served as entry vehicles into the vigorous roles that the girls assumed. The logs were like those they had been gathering on our field trip when they tried to make fire, while the hand tools suggested new ways to transform the wood. Something about this scenario obviously captivated them, as the girls’ interest in working with wood and dramatic play related to campfires and camping continued over the next several months. In organizing this activity, I had expected more boys to be drawn to the wood and hand tools. On reflection, I see these expectations were based on my own gender-biased assumptions. Instead, this activity attracted more girls, providing them the opportunity to further explore an interest outside of traditional female roles. Such traditional roles are reinforced when girls role-play motherhood, princesses, or female characters commonly found in popular movies and other media—activities far more common in my classroom than these girls’ work with wood. On a separate occasion, much later in the school year, I found myself drawn to a group of three boys working in the dramatic play area—Robby, Peter, and Mason—during unstructured play time. I noticed that they had picked up the baby dolls, and I was intrigued, as I hadn’t seen them use the dolls before. They had also brought over a roll of tape. These data samples stood out to me because of the coincidence of these two concurrent stereotypical portrayals of gender roles. While observing the group, I had perceived Ella’s dialogue as disruptive, unrelated to what I was in the process of capturing. In the moment, I was not fully focused on her thoughts and did not consider them significant to the situation. When I later reflected, however, I realized that Ella had noticed I was observing this group of boys and their rough play with the dolls. Looking to connect with me, she offered her perspective on babies and caregiving. Upon reflection, the boys’ behavior reminded me of teacher researcher Aaron Neimark’s description of his preschool boys playing what he called “basketball babies” (2012). Through his studies, Neimark (2012) noticed how young children often use objects in silly ways that diverge from the expected or intended use—for instance, pretending that basketballs were babies—and that this sense of creativity and comedy is an important component of peer culture. While there seemed to be an element of humor as the boys played with the baby dolls during my observation, I further wondered about possible gender-related influences that may have caused them to interact with the props in this way. Though connecting the babies to plates and flying them around was a creative idea—a divergent one from how I had expected children to use dolls—I felt that their gender role expressions guided their actions more than simple imagination. The girls in my class didn’t play with the dolls often, but when they did, their play was typically nurturing and gentle. I wondered if the boys had a tacit understanding that playing with dolls in a school setting is only acceptable if it is clearly distinct from the typical female version of such play (Brown & Jones 2001). I find myself caught between a feminist perspective and that of the progressive teacher I sought to be: one who embraces each child’s unique interpretation of an activity or idea (Brown & Jones 2001). The gender roles that children assume, as defined by our culture, affect their play, from determining their interests to deciding how to play and how to make use of props (Meier & Henderson 2007). The data samples in this section suggest that the type of materials offered to children may provoke them to assume roles that are more or less stereotypical and could thereby influence their social interactions and learning. For instance, because baby dolls are socially constructed as feminine toys, they are less accessible for young boys. With an understood purpose for caregiving role-play, young girls can feel comfortable behaving in line with their stereotypical gender role while playing with dolls. Boys, on the other hand, are perhaps implicitly excluded from using these toys, lest they should act outside of their traditional gender role. If they do use such materials, I have observed that their play usually deviates from the expected purpose. As a result, I find such gendered toys to be limiting for both young girls and boys. In contrast, materials that are less gendered and more open-ended—for example, natural materials such as sticks, pinecones, shells—encourage more creativity, stimulate imagination and allow for endless interpretations. Accordingly, open-ended materials are more likely to further children’s cognitive, physical and artistic development (NAEYC, n.d.). This second theme explores the human desire for control and power. I noticed that the children sought and expressed power, for example, using it to exclude or include others, to influence a situation in their favor, or to feel strong. As with the first theme, the key data samples occurred on different days. I chose examples that involved one child across two similar events: first in a position of subordination and then in a place of power. The first event took place at school and the second on a field trip. Both events occurred during structured playtime and both observations involved a group of three children—two had already established their play when a third approached and tried to join in. As teacher researcher Chris Taaffee (2012) found, such triangulated situations often prove challenging for the third child. The excerpts from the two field notes (See “Field Notes, February 24, 2014” and “Field Notes, April 9, 2014”) demonstrate complex desires for power and how children learn approaches for exercising control. In the field notes from February 24, Violet used her knowledge of gender constructs and her understanding of her friend Cora’s somewhat conforming gender expression to control the situation. Violet did not offer Cora any role, like a sister or mom role, other than a monster. She knew that playing the monster is a less conventional option for a girl, and thus, a choice that Cora would probably not accept. Cora seemed to be penalized here for acting within her predictable gender role, which I found thoughtprovoking, as acting within one’s gender role is frequently considered desirable and conducive to acceptance. Yet in this case, Cora’s preference to express female gender conventionally gave Violet an easy way to exclude Cora. More than a month later, on April 9, I was fascinated to see Cora try a similar tactic with Lillian. This time, however, the interaction played out quite differently. Lillian readily seized the opportunity to become the monster, and I was pleased and surprised that Cora and Eddie were completely open to her involvement. While Violet’s intentions in the first scenario seemed clear to me, I was uncertain about Cora’s motivation. I had observed that unlike Cora, Lillian assumed nonconforming roles on a regular basis. If Cora really didn’t want Lillian to join the pair, she would have had to make a different kind of proposal. Both scenarios demonstrate the complexity of young children’s interpersonal relationships within the sociocultural contexts influencing their lives. I and many other teachers have observed countless interactions involving a small group of children trying to protect their harmonious play from outsiders who could potentially disrupt the often fragile unity of young friendships (Neimark 2012; Taaffe 2012). I have witnessed children employ various strategies to exclude others and now realize how frequently they use their understanding of gender and culture to successfully block others from the play and determine who is permitted membership to the group (Brown & Jones 2001). Like Cora, some children can be understood as behaving from within a dynamic process that includes learning from peers and the media, experimenting with ideas, and making sense of gender roles and relationships. Addie has two younger brothers, one of whom is a very active 3-year-old and, according to Addie, “causes a lot of problems.” I thus attributed Addie’s concern mostly to her experiences at home. Still, I wondered about her belief that boys don’t like her. Where did this conviction come from? Teddy quickly disavowed Addie’s notion, and I noted how eager he was not to be implicated in an unfair assumption made about his gender. In an effort to counter such gender stereotyping, my coteachers and I began implementing activities to acquaint children across genders, such as coed lunch seating arrangements and partnered projects. We also began performing childauthored plays in which crossgender roles were common (Paley  2014). I began this study wondering how I might offer young children more opportunities to act outside of traditional gender roles. In the end, I realized that the children were working through complex ideas about the world. Our curriculum on fire and camping had encouraged some girls to step outside of gender roles, but it didn’t have a widening effect on all children—no single approach would. My findings showed that we needed a broader approach to advance children’s ideas about identity. If people have the capacity to consider unconventional ideas and bend their thinking, our interactions with one another might look very different and be healthier for individual identity development. Furthermore, I realized that exploring and understanding gender identity shouldn’t be concentrated on the experiences of a select few, such as the girls who were so interested in the camping project. Rather, my goal should be to expand everyone’s mind, thereby making more room for children to express themselves individually across the identity spectrum. While this research provides insight into the processes of children’s identity development, my findings are based upon one study I conducted independently over a spring semester. My feminist lens and personal perspectives influence all areas of my study—from gathering data to analyzing for interpretations, and deriving conclusions. However, such subjectivity is inherent in teacher research and considered an advantage of the methodology, as it offers an honest insider’s perspective of a practitioner in action (Meier & Henderson 2007). According to Meier and Henderson (2007), “Since early childhood is the foundation for young children’s views and experiences with getting along with one another, and with understanding and taking a stance toward the world of relationships, a focus in teacher research on social justice will deepen our character/social curriculum” (178). I began this research project to take action on a social justice issue, but, over the four months of this study, most of my work focused on first making sense of what I was seeing. I ended up generating more questions than answers. Yet, it was this process of questioning that helped me to deduce some useful ideas for how best to continue identity work with young children. I hope this study encourages other early childhood teachers to question gender issues that they might have otherwise accepted at face value. Looking critically at gender can allow teachers to have broader perceptions and interpretations of daily classroom events, thereby allowing children more space as they develop their gender identities. My data shows the complexity of this topic, including compounding factors, influences, and considerations. It also demonstrates how pervasive socialized ideas about gender roles and expression are in our lives. While my findings need to be considered within the study’s limitations, I feel that I have successfully achieved a personal goal of sharing my feminist thinking with a larger audience within the field of early childhood education. Accordingly, this study gives voice to an important issue, and its value lies in my efforts to question the world, ease rigid thinking, and counter oppressive constructs (Valente 2011). Hopefully my teacher research “charges and challenges us to renew our commitment to an active, inclusive feminist struggle” (hooks 1994, 74). While on a field trip, a co-ed group of children worked together gathering sticks to build a fire. Several of the girls led the effort, directing others to gather more grass, sticks, and small logs. Meanwhile, the group discussed their theories about stoking a fire. Several days later, I observed many of the same children using trowels to chip away at bark while trying to “make fire” in the school garden. Thus, I decided to offer the class different types of wood, child-safe saws, and sandpaper during small group time in the classroom and see who was interested. I stayed close by to ensure that the tools were used in a safe manner. Four children, Stella, Caitlyn, Anna, and Robby, joined the activity when I invited them over, and I was pleased to see the three girls in this group so enthusiastic to use the tools and experiment with the wood. Robby (R), Peter (P) and Mason (M) gather around a small table in the dramatic play area, while I, teacher Jamie (J), watch. Mason watches with interest while Peter and Robby play with the two baby dolls, which they have brought over. R: Rip the head off. Ella (E) leans in close to me (J), ostensibly wanting to chat, as she so often does. She shares the following idea with me, while I try my hardest to focus on the group of boys. After a couple of minutes, I realize how similarly meaningful Ella’s monologue is to my study on gender. E: I’m gonna be a mommy when I grow up. E: I’m gonna have one baby, because it’s hard to carry 120, 120, and 120 babies! Usually, I would have respected the wish of two children to play alone, but because Violet and Ella spend the majority of their time playing together, without the inclusion of others, I decided to push and see if they could find a way to include Cora. “Can you think of a way for Cora to play?” I ask. Cora immediately rejects the offer; she wants to be the baby. But, according to Violet, there are no babies in this game and the only possible role is that of a monster. Cora resigns herself to finding a different playmate, and Violet and Ella continue their game, uninterrupted. Lillian smiles and begins contorting her face and body to assume the role. Cora adds, “And you can chase us!” Lillian shows them she’s ready by creeping forward just as Cora and Eddie take off in the opposite direction, screaming happily! J: The boys might break it? What makes you think that? J: Is there a reason why you think boys don’t like jewels? Brill, S., & R. Pepper. 2008. The Transgender Child: A Handbook for Families and Professionals. San Francisco, CA: Cleis Press. Brown, T., & L. Jones. 2001. Action Research and Postmodernism: Congruence and Critique. Conducting Educational Research series. Philadelphia, FA: Open University Press. Daitsman, J. 2011. "Exploring Gender Identity in Early Childhood Through Story Dictation and Dramatization." Voices of Practitioners 14. www.naeyc.org/files/naeyc/file/Publications/VOP_Daitsman_Final.pdf. Forman, G., & B. Fyfe. 2012. "Negotiated Learning Through Design, Documentation, and Discourse." Chap. 14 in The Hundred Languages of Children: The Reggio Emilia Experience in Transformation, 3rd ed., eds. C. Edwards, L.Gandini, & G. Forman, 247-71. Santa Barbara, CA: Praeger. Liang, Y. 2015. "A Journey of Journals: Promoting Child-Centered Second­ Language Acquisition in Preschool." Voices of Practitioners 10 (2): 45-58. www.naeyc.org/files/naeyc/file/vop/VOP_Summer_2015_joumal.pdf. Meier, D.R, &B. Henderson. 2007- Learning From Young Children in the Classroom: The Art and Science of Teacher Research. New York: Teachers College Press. 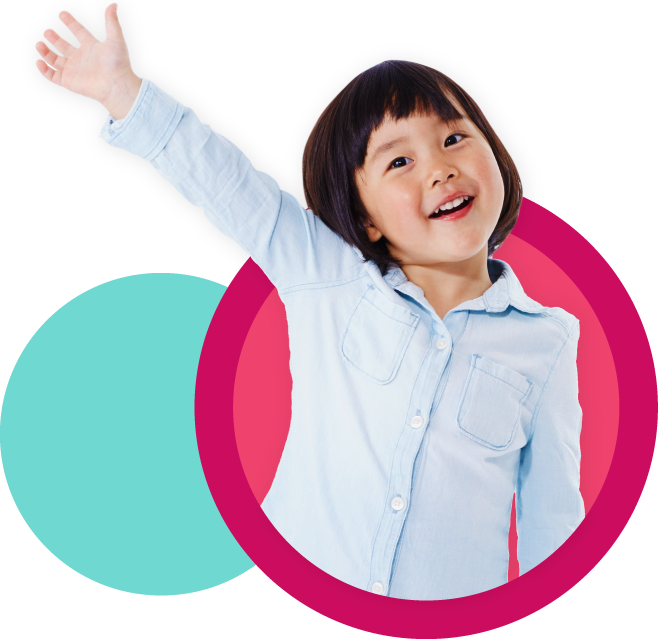 NAEYC (National Association for the Education of Young Children). N.d. "What the Research Says: Gender­ Typed Toys." www.naeyc.org/content/what-research-says-gender-typed-toys. Neimark, A 2012. "'Do You Want to See Something Goofy?' Peer Culture in the Preschool Yard." In Our Inquiry, Our Practice: Undertaking, Supporting, and Learning From Early Childhood Teacher Research(ers), eds. G. Perry, B. Henderson, & D.R. Meier, 53-64. Washington, DC: National Association for the Education of Young Children. www.naeyc.org/files/naeyc/file/vop/Voices_NeimarkGoofy.pdf. Ortiz, A, D. Ferrell, J. Anderson, L. Cain, N. Fluty, S. Sturzenbecker, & T. Matlock. 2014. "Teacher Research on Boys' Literacy in One Elementary School." Voices of Practitioners 9 (1):1-19. www.naeyc.org/files/naeyc/file/images jvoices/9_ortiz%20v9-1. Paley, V.G. 2014. Boys and Girls: Superheroes in the Doll Comer. Chicago: University of Chicago Press. Ramsey, P.G. 2004. Teaching and Learning in a Diverse World. 3rd ed. New York: Teachers College Press. Rogoff, B. 2003. The Cultural Nature of Human Development. New York: Oxford University Press. Taaffe, C. 2012. "Two's Company, Three's a Crowd: Peer Interactions in a Preschool Social Triangle." Chap. 3 in Our Inquiry, Our Practice: Undertaking, Supporting and Learning From Early Childhood Teacher Research(ers), eds. G. Perry, B. Henderson, & D.R. Meier, 21-35. Washington, DC: National Association for the Education of Young Children. Valente, J. M. 2011. D/ Deaf and d/ Dumb: A Portrait of a Deaf Kid as a Young Superhero. Disability Studies in Education series. New York: Peter Lang. Voices of Practitioners: Teacher Research in Early Childhood Education, the online journal of the National Association for the Education of Young Children, has been published since 2004. Voices editor Gail Perry passed away in the summer of 2015, and her presence, expertise in teacher research, and deep knowledge of early childhood education are sorely missed. Starting with this issue, a Voices of Practitioners article will be published in each issue of Young Children as well as online. Voices of Practitioners is a vehicle for dissemination of early childhood teachers’ systematic study of an aspect of their own classroom practice. Deeply involved in the daily lives of children and their families, teachers provide a critical insider perspective on life in their classrooms through communication of their investigations, the results, and their reflections. Jamie Solomon, MA, worked in the early childhood field for over 10 years, teaching at the preschool and college levels in San Francisco. Her teacher research projects have focused on gender development and emergent curriculum. Jamie has recently relocated to Southeastern Michigan.